How do I set my holiday hours? 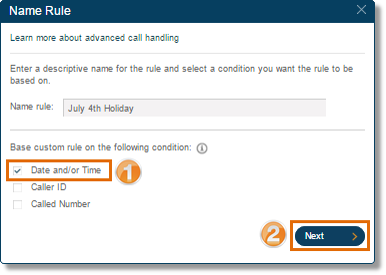 Setting up a User’s holiday hours can be configured in the Office@Hand online account under the Advanced Call Handling section. 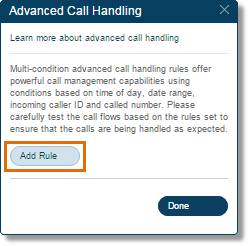 This allows you to create a call handling rule to manage calls based on specific time and date. Click Call Handling and Forwarding > Advanced. 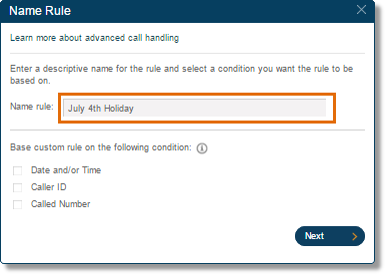 Note: In this example, we have used July 4th holiday ad the name rule. Click the Date and/or Time check box and click Next. You will have a chance to review the Date and Time before clicking Next. You can click the to delete the entry. You can then re-enter the correct Date and Time, and then click Next to proceed. You will be able to see the Conditions Summary where you can edit the Date and Time for the last time by clicking on . Click Next. Click Screening, Greeting and Hold Music, and configure to your preferred settings. 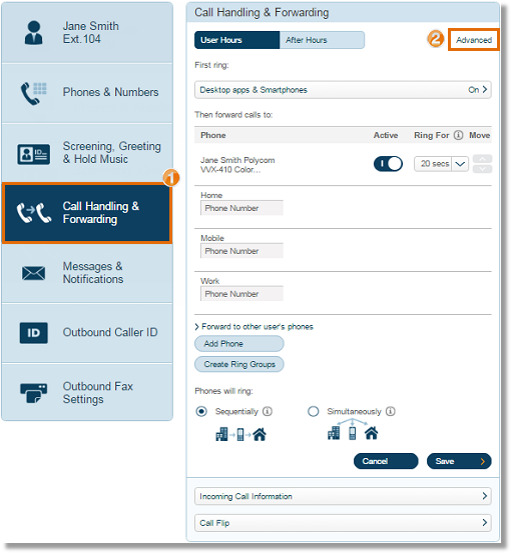 Click Call Handling & Forwarding, and configure to your preferred settings. 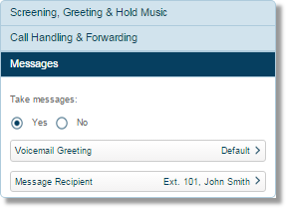 Click Messages, and configure to your preferred settings. Click Done. This option sends callers directly to voicemail. 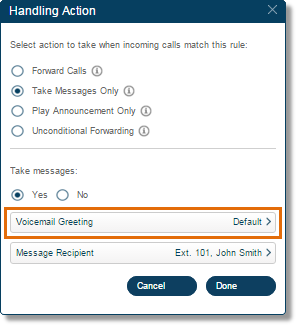 Click Voicemail Greeting to configure what your callers will hear before they leave their voice message. 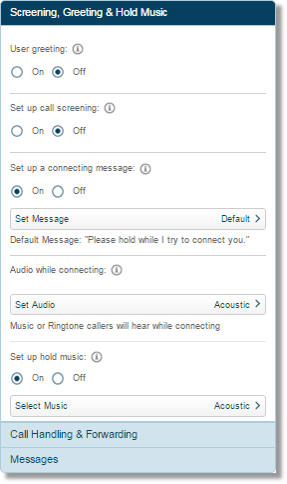 You can keep the default settings, or you can customize by recording your greeting or uploading a pre-recorded audio file. 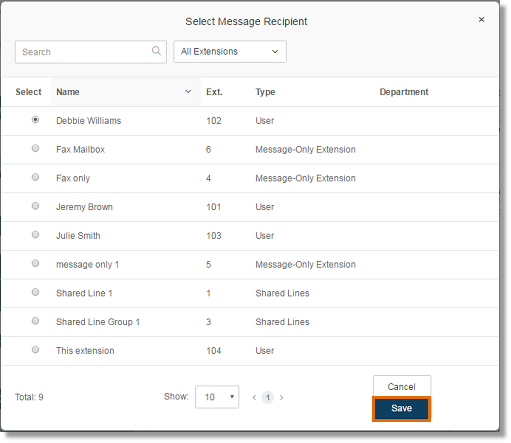 Click the radio button of the extension where the voicemail messages will be saved and then, click Save. 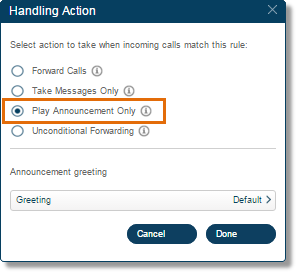 Play a pre-recorded announcement and end the call afterwards. 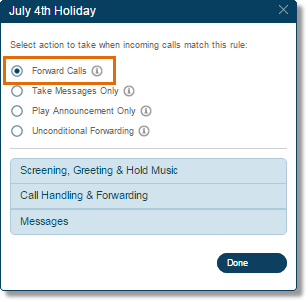 Select if you want to forward the call to a different phone number without having to go through your greeting settings. 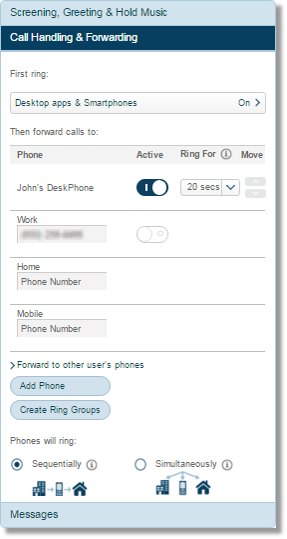 This option is good when you want the call to go directly to your personal voicemail when you don’t pick-up. Enter the phone number on the field provided.